On the directives of His Lordship, the Honourable, the Chief Justice of Nigeria, Hon. 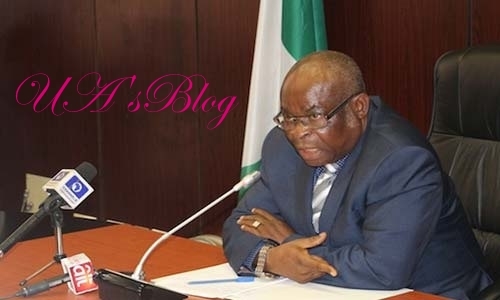 Mr Justice Walter Samuel Nkanu Onnoghen, GCON, the Supreme Court of Nigeria has commenced publishing its cause list for up to three months per time on its website, www.supremecourt.gov.ng. This is a departure from the former practice where the Court only published weekly Cause List and the Rulings on Applications from Chamber Sitting on the said website. The policy, according to the CJN, is deliberately targeted at the speedy dispensation of Justice and its publication is to encourage Counsel to take advantage of the initiative and prepare adequately ahead of hearings, to avoid any delays. The Hon. CJN said it is pertinent to state that the Supreme Court diary is full with appeals set down for hearing up to the year 2021. He said the appeals would be heard and judgements delivered as necessary and in accordance with the Rules of the Court. He added that the situation therefore leaves no room for unnecessary adjournments arising from lack of diligent prosecution, poor preparations or non-appearance by Counsel. Accordingly, the Hon. CJN says this means that any matter that is assigned a date must be heard and determined one way or the other on that date. ”For appeals that may be discovered to have defects, Counsel is advised to take necessary steps to amend such defects before the due hearing date”, the Hon. CJN said, adding that ”Everyone must come to the Court fully prepared for the business of the day”.